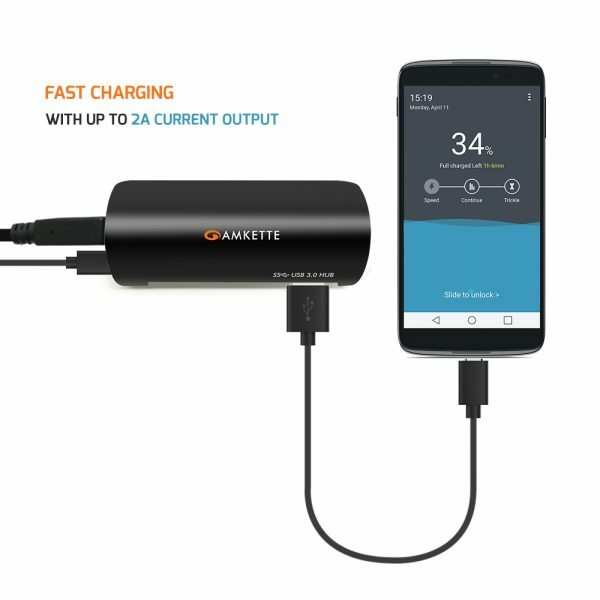 Amkette New USB Hub 3.0 is 10 times faster than the USB 2.0 Hub. It can transfer data at a blazing speed of 5 Gbps which means you can send a fully HD movie in seconds. 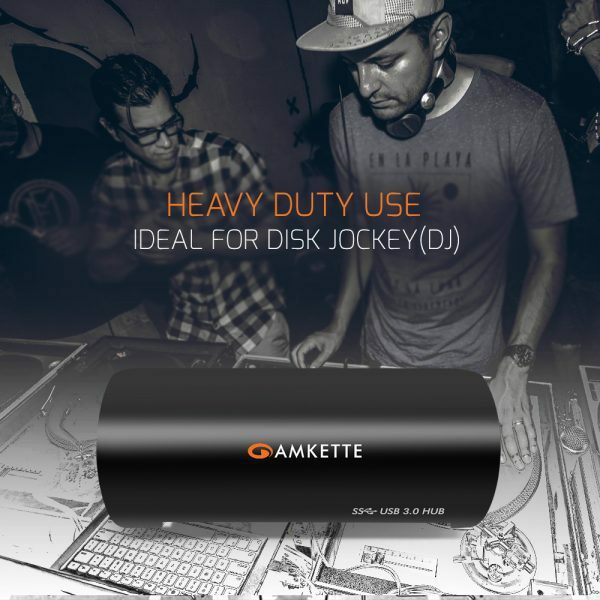 Amkette New USB Hub 3.0 is 10 times faster than the USB 2.0 Hub. 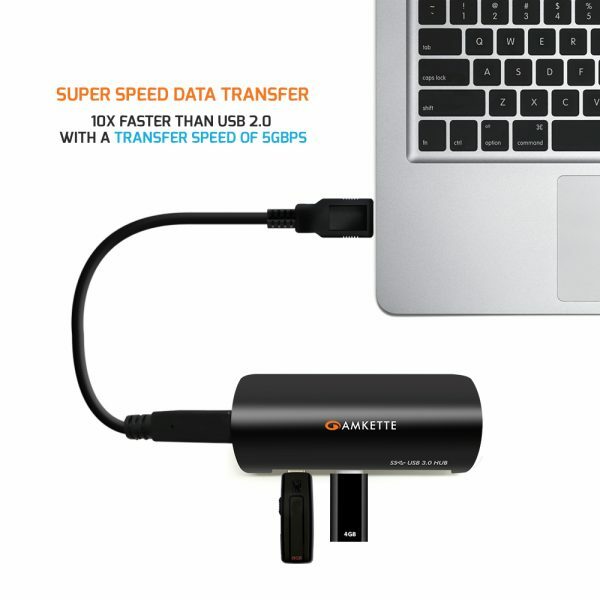 It can transfer data at a blazing speed of 5 Gbps which means you can send a fully HD movie in seconds. 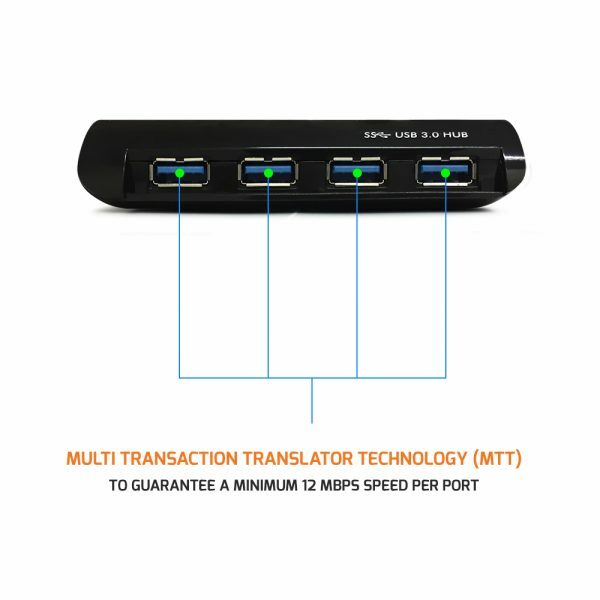 With the MTT (Multi Transaction Translator technology), the hub guarantees a minimum speed of 12 Mbps each port. 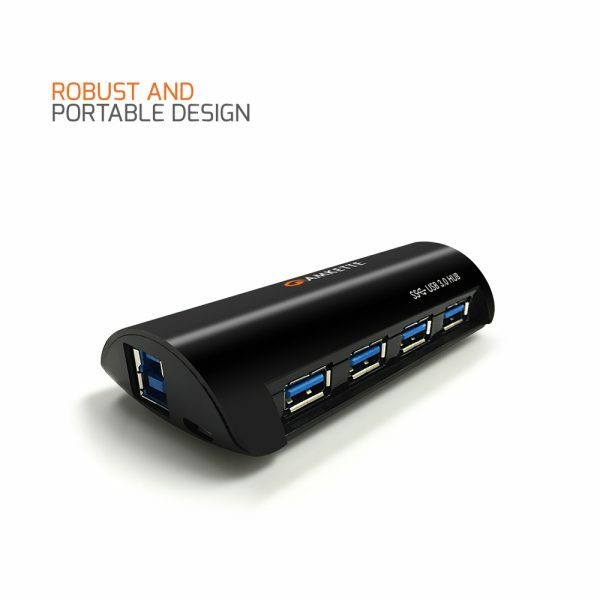 The hub is built with an on-board fuse to protect devices all the times against any power fluctuations.